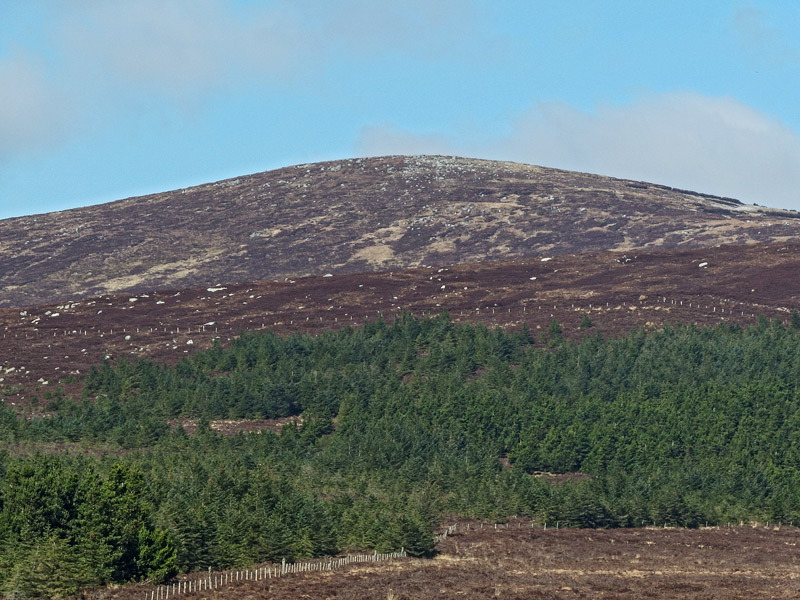 Picture from group : Mullaghcleevaun E Top from the east. Picture: Mullaghcleevaun E Top from the east. Mullaghcleevaun East Top is possible to reach from all sides. The easiest way is coming from Carrigshouk , and starting at O1027 0525 A, or any other small gap along the Military road. (If it is a Bank holiday and promising weather come early because the places are limited, but on an ordinary day you will find a parking place easily). Located in the middle of the mountain range this summit usually is visited as part of longer walking routes. With access from Stoney Top an obvious route taking in Tonelagee and its NE Top or from Duff Hill then extending the walk to Gravale and Carrigvore. Possible walking route from Blessington side, coming from Mullaghcleevaun.